None at all, and from a good site too. I think Sunday is going to be the busiest day. I shall be out portable with 4m, 2m, 70cm and 5.6GHz from Westbury White Horse, Wiltshire, IO81WG, beaming north (and other directions) from 10.00am and hoping to work as many stations as possible. 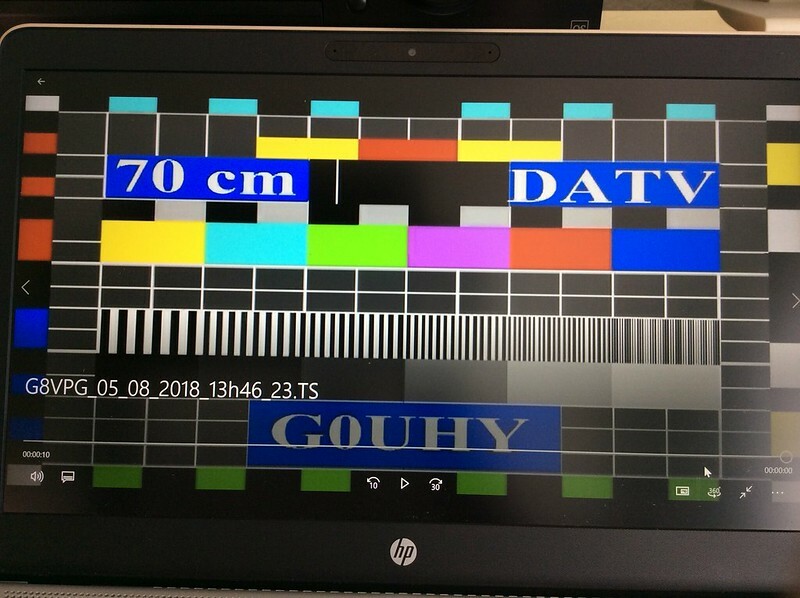 Nothing heard on 146.5MHz today (yes I know everyone is planning to be out tomorrow but some of us are on 12hr day shift), however we did have a dabble in the low power contest and in 2 3/4 hours we worked 64 stations with best DX being EB8AYA. Unfortunately I'll be away for the next activity weekend but it'll give me chance to find the poor constellation issue I'm having with my Portsdown. however we did have a dabble in the low power contest and in 2 3/4 hours we worked 64 stations with best DX being EB8AYA. EB8? I will get my coat. Many thanks to Noel G8GTZ, Shaun G8VPG and John G3JZF for the 2-way QSOs yesterday. 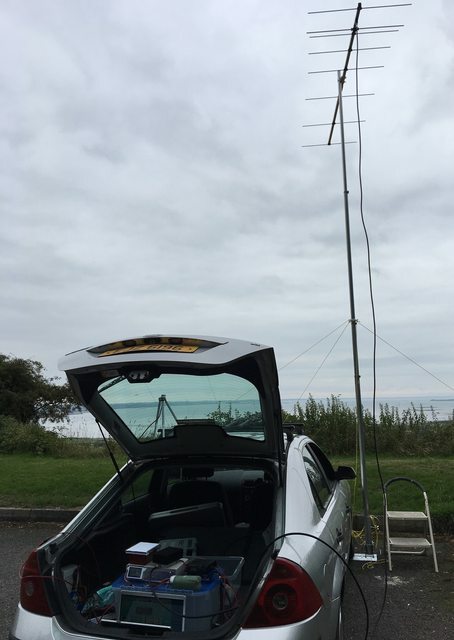 Special thanks also to John GI7UGV for the 2m talkback reception report on a 360km path! John JZF, apologies, I thought I had taken a screenshot of your test card, but I must have hit the wrong buttons because I don't have it on the laptop. If you would like a sked when you have your PA sorted out, let me know. 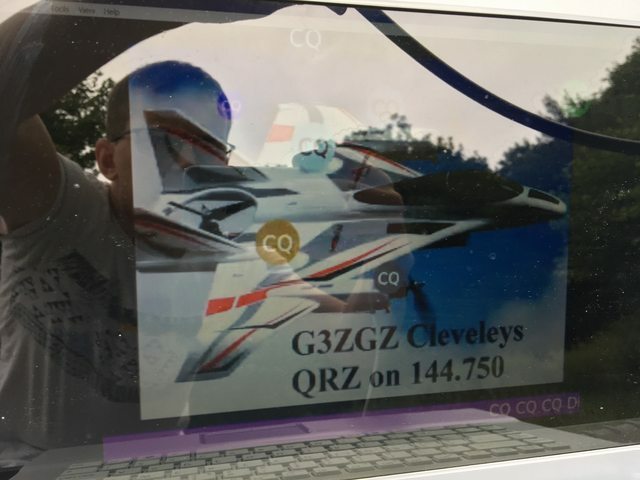 Yesterday, G6AUR, G4BVK & G8VPG went to Westbury White Horse, Wiltshire IO81WG22TJ (225m asl) with 4m, 2m, 70cm and 5.6GHz. The intention was to try and work the team at Long Mynd, but the path proved far more difficult than expected and even talkback was impossible. 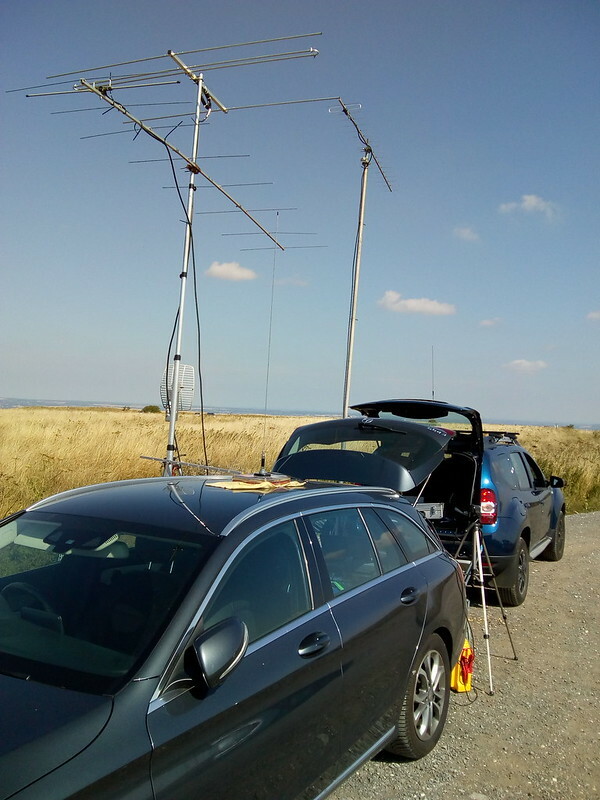 However, all was not lost as we had three good qso's on 437MHz; M0DHP/P, 2 way at 90km; G4UVZ, 2 way at 75km and G0UHY, one way at 135km. We also tried 71MHz with G8LES at 78km but couldn't get it to go this time. It was a very hot day with no shade on the hill, but an enjoyable time was had by all. At the invitation of the Telford Club, G8GKQ and G8GTZ had a really good day on the Long Myndd near Church Stretton in Shropshire. 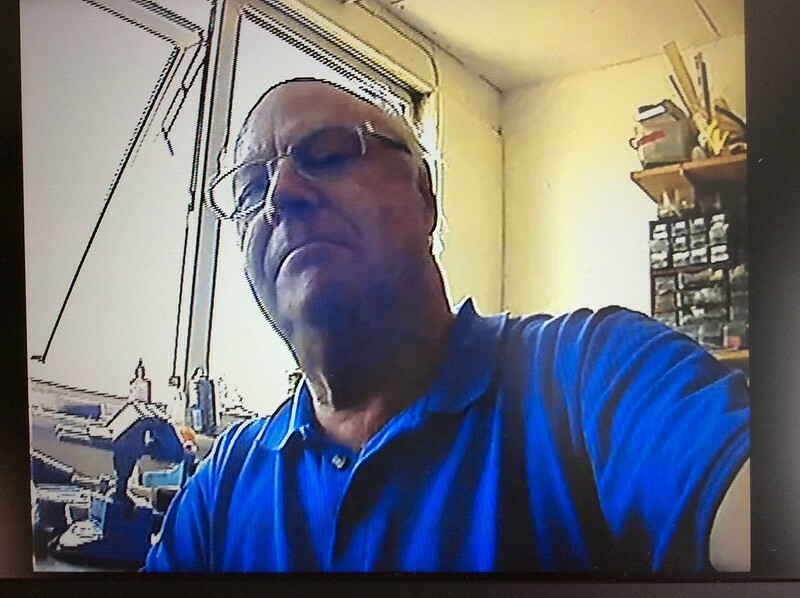 The main aim was to get other stations on air and we did that - in particular John G3JZF had his first DATV QSO on 70cms with Ray M0DHP, M0YDH had a one way with Mike G0MJW at 120Kms and Peter (can't remember his call) had a one way on 5.6GHz with Barry G8AGN and Richard G8RHP at 80+ Kms. We also worked Mike G0MJW on 146 but also very surprised we could not even hear G8VPG and team on .750 so no 71MHz QSOs. Went out on the Sunday morning for a 2m SSB/FM test to Dave G3ZGZ to see what the path from a nearby portable site to himself was like. It was 191km and pretty much right through Snaefell on the IoM so wasn't sure how it would work. 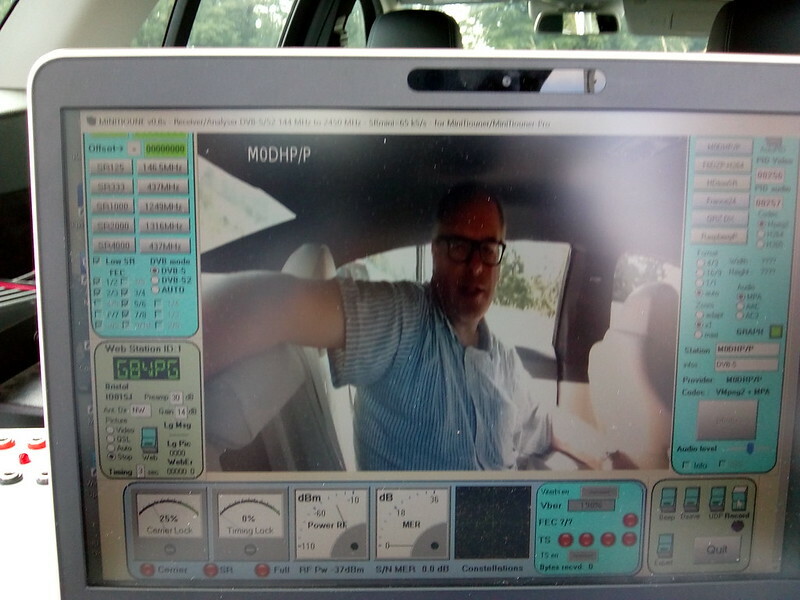 On finding 5w FM getting through fine I set the DATV kit up in the boot to try and it worked no bother at all both ways, very happily surprised! I really must thank and congratulate all concerned with putting together the Academy and field day on August 4th and 5th. I benefitted greatly from the event, particularly help setting up and testing my Power Amps. It was unfortunate that I failed to get the RA30H4047M to work -wrong attenuator settings I think- but did have the two way contact with Ray in Malvern using only a few hundred milliwatts from the RA07H4047H. Now that I have returned home, I have started to box up the equipment so that I can drop it into the car at short notice and pop up one of the local high spots - probably Barr Beacon and repeat the exercise with higher power. Again, many thanks to all- and to Heather and Paul who put me up on Saturday night. I hope to see many of you at CAT18 and hope to make some DATV contacts in the meantime.